Chill the serving glass. Shake all ingredients except club soda with ice cubes. Strain into chilled glass and top with club soda. You need a full-bodied brandy to make a Brandy Fizz shine. I have found so-so domestic (California) brandy to make a rather flat drink. Pounding CO2 bubbles into Christian Brothers is like pounding sand. Try instead a good VS Cognac such as Camus, a big Brandy de Jerez from Spain, or an engaging Armagnac. Asbach Uralt from Germany also comes to mind. If you are stuck with a softer, lighter brandy try cutting back on the soda to 2 oz. Any more and your Brandy Fizz can taste a little thin. As Harry Johnson recommends, you want to drink a Fizz with some dispatch lest the bubbles go flat or the drink warms (no ice in the drink for a Fizz). If you're worried about the drink warming, add a lump or two of good, cold ice and you have a Tom Collins (or Brandy Collins in this case). 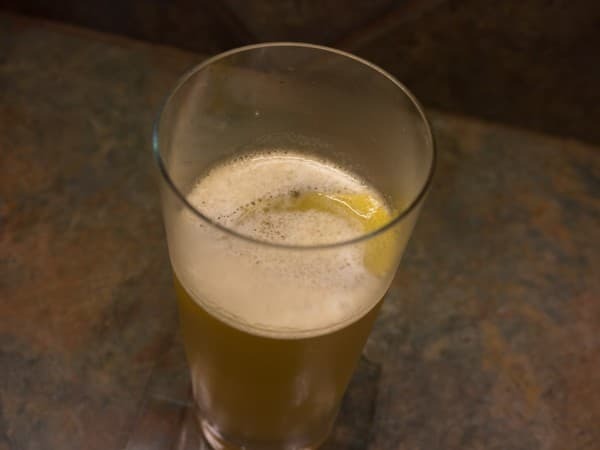 There is no garnish used in a Fizz (usually), but a lemon twist will brighten up this drink nicely.